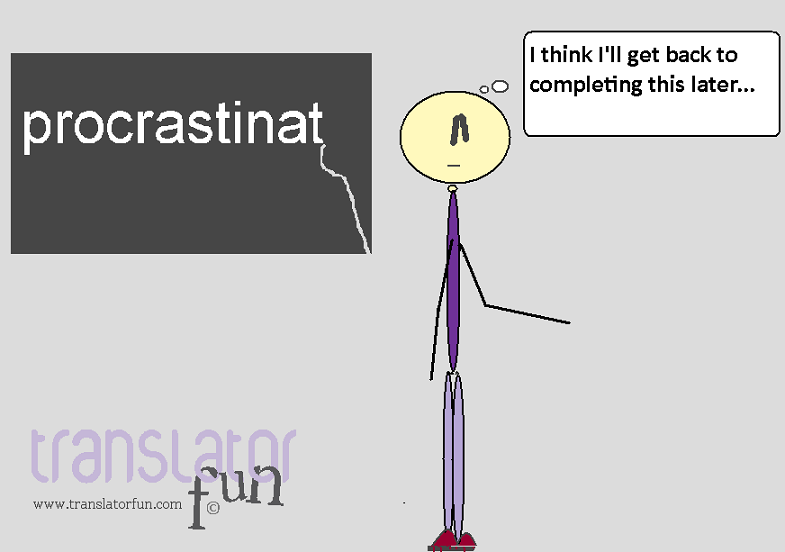 Procrastination: the evil every translator has to face. This entry was posted in Freelance translator, Fun, language and tagged English, freelance translator, fun with language, language, procrastination, words by Romina Bona. Bookmark the permalink.